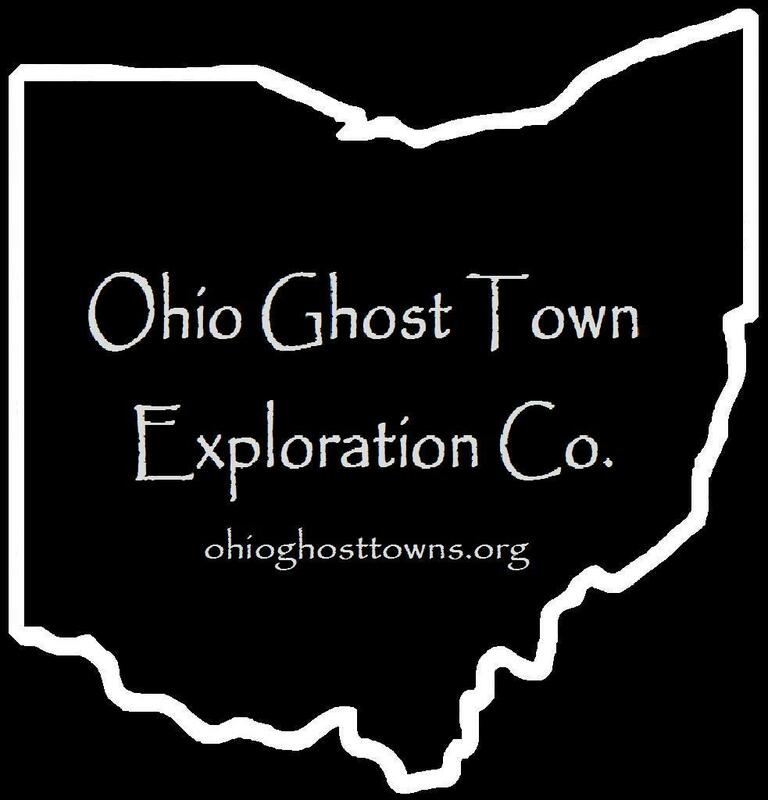 Hocking County – Ohio Ghost Town Exploration Co. Description: It was named after the Blackburn family in the county. The town had a school north of the GPS coordinates on the east side of Jack Run Rd at the intersection of Clapper Hollow Rd. Residents were buried in Morgan Chapel Cemetery. Description: This small town was on the Monday Creek Branch of the Hocking Valley Railway in eastern Ward Township & had mines operated by the Consolidated Coal and Mining Company. Several men perished over the years from falling shelves & stones while working in the shafts. M. E. Schaffer was the postmaster. Description: The town was on the Brush Fork Branch of the Hocking Valley Railway. It had a general store on the west side of SR 78 south of the GPS coordinates owned by the Trimmer family & a school on the east side of SR 78 south of the store. Description: Cedar Falls was the site of a saw mill in the late 1800s & had a school. Its impressive waterfall now sits in Hocking Hills State Park along Ohio’s 1300 mile long Buckeye Trail. For anyone who enjoys less rustic accommodations than what camping offers, the Inn and Spa at Cedar Falls north of the GPS coordinates on SR 374 is another option. Description: Consol was a small postal town between Jobs & New Pittsburg. It was the site of New Pittsburg Mine No. 3 & had a train station on the Brush Fork Branch of the Hocking Valley Railway. W. H. H. Wolfe was the postmaster. Description: This small town had a train station on the Hocking Valley Railway & mines operated by the Davis Coal Company. Description: This former mining town is reportedly haunted by the ghost of a middle-aged man who appears to be in wet clothing & had been spotted along the road, on porches, & inside some local homes. Description: It was the site of a coal hopper owned by Peter Hayden (1806 – 1888) from New York, who founded Haydenville. The town was on a railroad switch off of the Hocking Valley Railway running along Company Rd. It also had a steam-powered saw mill & a small quarry west of the GPS coordinates & a coal works northwest of the GPS coordinates. Peter was buried with relatives in Green Lawn Cemetery on Greenlawn Ave in Columbus. Description: Philip Heyd operated a grist mill in the lot south of the GPS coordinates. William Sholl (b. 1842) was the postmaster. Description: In the area’s early days, there was a saw mill on the south side of Dawley Rd on the east side Monday Creek on land owned by the Wolf family & a school on the south side of Jacobs Rd east of the cemetery. Dawley – Downhour Cemetery was established on land owned by Nathan Dawley (1793 – 1873) & Anna (Wilcox) Dawley (1802 – 1883). They moved to Ohio from Rhode Island, were pioneers in the county, & had 11 children. Although the cemetery isn’t extremely far from SR 595, the location is still rather remote, but it is well-maintained. Oil, coal, & iron tycoon, Nils Kachelmacher (1860 – 1917) from Norway, directed the construction of the Greendale Brick Plant along SR 595. It ran from 1907 to the mid-1930s. At a cost of $1 million, it was said to be the largest in the world. The plant supplied much of the country’s bricks until The Great Depression hit the economy & led to the company’s demise. There was also a company general store & a school constructed for the workers & their children. The school still stands next to SR 595 near what’s left of the formerly massive brick plant compound. Nils was never married & was laid to rest in Kachelmacher Mausoleum in Kachelmacher Park south of US 33 on Falls St in Logan. There’s a historical marker in the park with more info about him & the brick plant. Greendale is still a populated place, but there’s far less residents in the area these days. The post office on the railroad was called Kachelmacher from 1906 – 1910. Description: According to Henry Howe’s “Historical Collections Of Ohio”, the creek was named after the story of a pioneer hunter who got lost & froze to death there in the early 1800s. His skeleton was found years later with a rifle laying next to it. Description: This small farming & postal town had a blacksmith shop on the north side of Maxville Rd near the intersection of Saunders Rd & a school west of South Harvey Chapel on a now abandoned stretch of road on land owned by the Larimer family. Samuel Focht (1854 – 1916) was the postmaster. He was buried with relatives in the cemetery. The church & cemetery were constructed on land owned by Benjamin Poling (1815 – 1895) & Elizabeth (Short) Poling (1817 – 1908). Benjamin’s parents, War Of 1812 veteran Samuel Poling (1793 – 1866) from Maryland & Elizabeth (Stemem) Poling (1795 – 1882) from Virginia, moved to Ohio in 1829 & had 12 children. They donated the majority of funds for construction of the original log Harvey Chapel on the east side of Rush Creek. It was replaced with a wood frame structure in 1856, & later the present church. Thanks go to Beverley Poling for providing some of the info! Her late husband’s great-grandfather was Peter Poling (1813 – 1907), who owned the land across the road from the church. Description: Nancy had a school on the east side of Blue Creek Rd north of the GPS coordinates & a church on the northwest side of Blue Creek Rd south of the GPS coordinates. William Parks (1849 – 1938) was the postmaster. He married Sarah (Swackhammer) Parks & later moved to Circleville in Pickaway County where they were buried in Forest Cemetery on N Court St (Co Rd 511). They both have relatives buried in Schooley Cemetery. Description: W. F. Rittgers (1857 – 1930) was a Freemason & the town’s postmaster. He was buried with relatives about 7 miles south of the GPS coordinates in Oak Grove Cemetery on Jennison Ave in Logan. Description: It was in section 13 of Green Township & was founded by Robert Patton (1779 – 1865) & Mary (Halterman) Patton (1789 – 1828). They built a saw mill in 1825 that was probably the first in the township. Robert remarried after Mary passed away & added a grist mill to the site around 1832. The mill dam was washed away in a flood in 1860 & was never rebuilt. Robert was buried with relatives in Oak Grove Cemetery on Jennison Ave in Logan. Members of the same family also founded Pattonsville in Jackson county, which is still a populated place. Description: Pine Grove had a grist mill & saw mill next to Clear Creek owned by John Arney (1805 – 1876) from Fairfield County & Johanna (Klinker) Arney (1805 – 1867) from Germany. They had several children, over 300 acres of farmland on 3 lots, & donated land for the Hocking Valley Railway tracks on the east side of the Hocking River. John & Johanna were buried with relatives in Elmwood Cemetery 9 miles north of town on S Mt Pleasant Ave in Lancaster, Fairfield County. Description: Mary (Strawn) Hone (1823 – 1918) from Perry County was the town’s founder & proprietor. She platted Point Pleasant in the southwest corner of her 180 farm after her husband, Civil War veteran James Hone (1822 – 1864) from Morgan County, passed away. It had a post office & a blacksmith shop, but only attracted a few families over the years & eventually reverted back to farmland. Mary & James had several children & were buried with relatives about 4 miles south of the GPS coordinates in Fairview Church Cemetery on the south side of Fairview Ridge Rd (Co Rd 287). Description: Pursell had a saw mill next to Pine Creek & school on the west side of Webster Rd. They were both on land owned by the Dresback family. Most of the Dresbacks, & the town’s last postmaster Francis Lindsey (1866 – 1950), were buried in Pine Grove Cemetery 2 miles northeast of the GPS coordinates at the intersection of Big Pine Rd & SR 374. Description: It was founded by a branch of the Reed family in the county. Description: The town was named after the cave that now sits in Hocking Hills State Park. As with many caves in Ohio, it was originally inhabited by Native Americans & was later occupied by thieves & bandits who were hiding from justice during the early years of Ohio’s statehood. They disappeared as the area became more settled & the cave acquired more honest visitors. A saw mill & grist mill next to Laurel Run along SR 374 were owned by William Loomis (1841 – 1918) & Nancy Loomis (1840 – 1915). They moved to Columbus where they were buried with relatives in Green Lawn Cemetery on Greenlawn Ave. Businessman & Civil War veteran Lieutenant Colonel Ferdinand Frederick Rempel (1824 – 1901) from Prussia, Germany constructed a lavish 16 room hotel with a ballroom, post office, & livery stable at Rock House in 1878. He added some cabins & turned it into a popular summertime resort. The hotel fell into disrepair & was sold to the state by Colonel Rempel’s heirs in 1925. Ferdinand Rempel was buried with relatives in Oak Grove Cemetery on Jennison Ave in Logan. Description: It was named after the family of Nancy (Kimple) Smock (1816 – 1905) from New Jersey. She moved to Ohio from with her husband Philip Smock (d. 1863) & was a pioneer in the county. Nancy also owned the land where the post office was. The town had a school on the east side of Hoskins Rd just north of the GPS coordinates on land owned by the Call family. Nancy was buried with relatives in Oak Grove Cemetery on Jennison Ave in Logan. Description: South Carbon Hill had a plat with a single row of lots lining the west side of SR 278 between Coe Hollow Fruitdale Rd & Monkey Hollow Rd. There was a school on land owned by Civil War veteran David Randolph (1825 – 1891) on the west side of SR 278 south of the GPS coordinates. It appears that the lots didn’t sell well & the idea of creating a bustling community was subsequently abandoned. The plat can be spotted in the 1876 county atlas. David is incorrectly listed as B. O. Randolph on the Ward Township map, but is correctly listed on page #31 with the plats of South Carbon Hill, Murray City, & Carbon Hill. He was buried with relatives in Carbon Hill Cemetery on the north side of Carbon Hill Buchtel Rd about a mile northeast of the GPS coordinates. Description: It was along SR 328 & the Hocking Valley Railway about halfway between Starr & Union Furnace with a passing siding for loading & unloading. The town was listed on the Ohio map in the 1901 Cram atlas & several obscure railroad guides from the late-1800s to early-1900s. Description: Winona Furnace was constructed by the Winona Iron Company & started blasting iron ore in 1878. It was sold to the Columbus and Hocking Iron and Coal Company in 1883. The town had a train station on the Straitsville Branch of the Hocking Valley Railway, a school, company general store, & 22 houses for the workers & their families. That small number provided shelter for around 150 residents while the furnace was in operation. Some of them were buried in Webb Chapel Cemetery. There isn’t much info online about Apple & we suspect the reason is that quite simply nothing extraordinary good or bad has ever really happened there. It seems to be a relatively peaceful place to live. It was named for the abundance of apple orchards in the area in the mid 1800s. A cemetery was established in the early 1850s on Pleasant Ridge Rd north of the center of town & the Zion Church congregation organized in 1855 across the street. The church building was constructed in the late 1850s. It’s been closed for several years now. The town also had a grocery store in the 1870s on Andrew Poling’s (1814 – 1887) farm, the former site of the post office, & was operated by one of his sons. Apple’s population probably peaked in the 1880s with about 100 residents & the post office ran from 1891 – 1911. There’s an abandoned house with a few outbuildings behind the church & a couple more in the woods around town. Peter Hayden (1806 – 1888) was a businessman from New York who moved to Columbus. He immediately set out to build his fortune in Ohio with the booming industries of the mid 1800s. Peter founded the town of Haydenville in 1852 with big plans for its future. He had an iron furnace moved from Hanging Rock, OH by canal to Haydenville in 1856. The Haydenville Railroad Tunnel was also built that same year & is said to be haunted by some of the workers who died during its construction. It can be found on a trail that goes north out of the cemetery on Howard Rd. Unfortunately a collapse inside the tunnel has rendered it unsafe to explore. The Hocking Canal provided easy access into town, but when Haydenville got a train station on the Hocking Valley & Toledo Railroad, things began to move much faster. Peter Hayden also ran a foundry, bank, hardware store, & the company store. The train station was built in 1903 & currently sits abandoned on the tracks near Wandling Rd. The townspeople construced a Methodist Church & a post office in 1870, a school, & also built most of their own houses. Hiring an outside contractor rarely happened. The Haydenville Mining & Manufacturing Co. was formed in 1882, engaging in brick & tile making. The town’s other main sources of income were the iron furnace & nearby clay, iron, & coal mines. The people who lived there basically worked for the town, purchased what they could from the company store, & didn’t get much more out of it than that. They also took a certain earned pride in it all though, being part of a community that made the town their own. Haydenville & its industries were hit hard by the Great Depression. The railroad tunnel was abandoned in 1957 & the company went out of business in 1965, giving Haydenville the distinction of being Ohio’s last company town. Haydenville’s historic district was listed on the National Register Of Historic Places in 1973. Ohio Historical Marker #4 – 37 at 1635 Haydenville Rd tells much of the town’s story. Many of the early residents were buried in Haydenville Cemetery on Howard Rd. The town was named after William Job (1843 – 1931) who was one of the most prominent coal company operators in the Hocking Valley. It had several mines, a row of houses, a school, & a post office from 1890 – 1924. The train station was on the Brush Fork Branch of the Hocking Valley Railway. In May of 1882 the residents of Jobs broke the world record for mining coal in a single day with 4,888 tons of coal in 243 cars. The mines were last operated by the Sunday Creek Coal Co. who recently sold the land to the state & it’s now managed by the Ohio Department of Natural Resources. They’re going to turn it into a state wildlife area. Jobs Church & last standing house on Jobs – New Pittburg Rd were demolished in 2013. Any remaining open mine entrances will be covered up too. Thanks to group member Brett Taylor, manager of Ohio Hiking Trails & Historical Sites, for the listing lead, pic, & providing most of the info on Jobs! Thanks also to Tom Young from Zanesville for updating us on the status of Jobs in October 2013! It was named after John Murray Brown (1839 – 1893), an early settler who bought up the land & laid out the town in 1873. He also built a hotel in 1875 for local workers but sold out his interests in the community a few years later to a larger coal company. Brown moved to Somerset, OH, then Columbus, & later Detroit, MI where he died & was buried in Woodmere Cemetery. Murray City was incorporated in 1891 & was once one of the largest coal towns in the country with over 2,000 residents. It had a semi – pro football team in the 1920s, the Murray City Tigers, which is now in the Pro Football Hall Of Fame. The town continues to lose more residents since the mines shut down with a current population of around 450. Its former train depot has been converted into a museum. Thanks to group member Tammy Altman for providing the info on John Murray Brown! Orbiston grew quickly in its early days after Ogden Furnace was built in 1877 by the Ogden Iron Company. Most of the local residents mined coal & iron for furnace production & some had jobs on the Hocking Valley Railway that ran through town. The furnace was sold a few times over the years & was eventually owned by the Hocking Iron Co. who changed the name to Helen Furnace. Orbiston had a population of about 500 is 1883, a post office that ran from 1877 – 1924, & a school that existed until sometime around 1930. It’s unknown if there’s anything left of the furnace, but we suspect some foundations from other buildings are likely around the area, & maybe a few mine shaft entrances. Most of the residents were buried in Bethel Ridge Cemetery (Athens County). From Orbiston, just north of where the town was, make a right turn onto Goose Run Rd & take the first right onto a small gravel road.